Pay attention closely because there’s a lot happening in Bodyguard. YOU'VE been hearing about it for weeks - a TV show that everyone in the UK is losing their minds over, the highest rated new drama in 10 years. What is this magical TV show, one that will convince a seen-it-all audience to go back to live TV, waiting, week after week to find out what happens next? Luckily for us, we don't have to wait any longer. 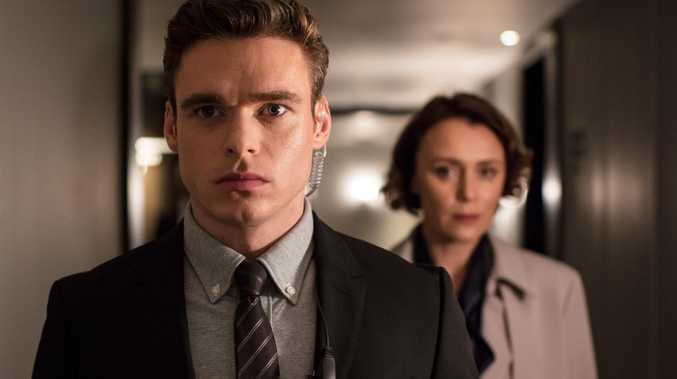 Bodyguard is finally available in Australia, from 6pm AEDT tonight, and the whole lot is dropping on Netflix at once so you can binge all six hours and 15 minutes in one sitting - who needs sleep when there's intrigue and conspiracies afoot? Tense, exciting and so, so watchable, Bodyguard is a political thriller that begins with a heart-stopping 10-minute sequence on a London-bound train. 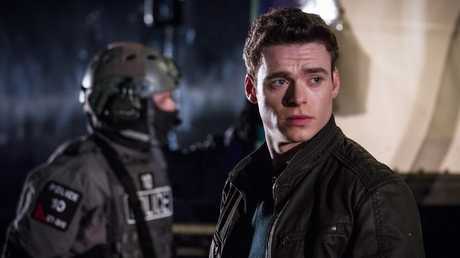 PTSD-affected former soldier David Budd (Richard Madden), now working for the police, is on-board and off-duty, returning home with his two young children, when he's caught up in trying to talk down a suicide bomber. It's nerve-shredding TV and not only establishes the character's expertise and humanity in an impossible situation but also the show's proficiency in executing such a high-pressured play - it's not afraid of extreme close-ups to really wind you up. It's a bold declaration from the filmmakers - notably creator and writer Jed Mercurio - that Bodyguard isn't here to be a breezy watch you can put on while playing a game on your smartphone or prepping veg for dinner. This is a show that commands all your attention and that edge-of-your-seat tension doesn't really let up throughout the series' run, though it does adeptly balance the intensity with calmer moments so you can remember to exhale. After the train incident, David is assigned to be the personal protection officer - a bodyguard - to UK Home Secretary Julia Montague (Keeley Hawes), a controversial government figure with prime ministerial ambitions who's trying to pass severe national security legislation, nicknamed the "Snooper's Charter", that runs afoul of civil libertarians. Madden and Hawes establish great chemistry straight away. To reveal any more is to rob you of the copious twists and turns Bodyguard will throw your way, or the audacious character choices it makes. It manages to cram in more conspiracies, power plots, backstabbing and explosive moments in six episodes than a season of 24 did in, well, 24 episodes. And there are some really dramatic, though stressful, action set pieces that are on a much bigger scale than you would normally get from a British production. 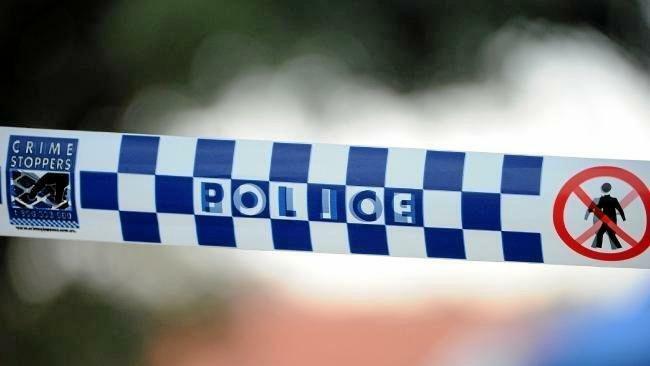 As a viewer, at no point do you think you have a proper grasp on who, in the government, police, security services and more, can and can't be trusted. It's only in the season's closing moments, when all the red herrings are revealed as such, does all the complexity start to strain the realms of possibility, but you've had such a fun time with it, it's forgivable. Forever questioning everyone’s true motivation. Scottish actor Madden is best known to Australian audiences as the tragic Robb Stark in Game of Thrones, a role that generally saw him switch between broody and slightly broodier. But here, he's really bringing that A-game. As David, Madden balances rage, trauma, pride, lust, pain and more, all while holding back secrets from those around him and from us. Hawes (Spooks) is also brilliant as Julia, who's punished for being a ruthlessly ambitious woman rather than just for her ideology. Bodyguard is a perfectly calibrated thriller that cleverly builds up the tension so you're always questioning what you see and hear, puzzling over everyone's motivations and real loyalties, and to hook you from beginning to end. Bodyguard is available to stream on Netflix from 6pm AEDT tonight.